The amazing aerodynamic 40” Mirage light bar is just 1.8” deep and overall only 3” high including the legs which allows efficient airflow around the light bar even at high speeds. It has 8 modules in the front and 8 in the back of the bar. Each module has 4 Generation IV 3-Watt LEDs equaling 192 brilliant watts and TIR lenses that create strong focused light. 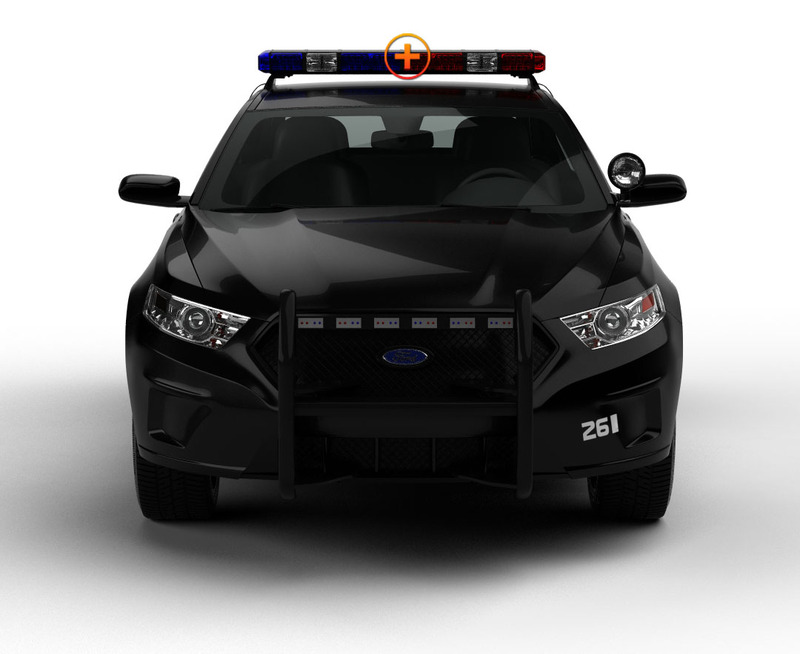 Add the additional 9 watts at each end, and that’s a whopping 210 watts of piercing 360° light that tops your emergency vehicle when you install this light bar. It’s 15 flash patterns will warn motorists a mile away to pay attention and slow down. The ‘40’ has a traffic advisor switch on the cigarette lighter power plug which also has switches to control the flash patterns and ON/OFF. It comes with a 12’ power cord, but the unit can be hardwired to a light or siren system already in place. The tough aluminum housing is sealed with industrial grade epoxy which makes it 100% waterproof. Outfit your emergency unit with one of the most versatile light bars we have in our Extreme Tactical arsenal! It will keep you well lit and safe on the road. 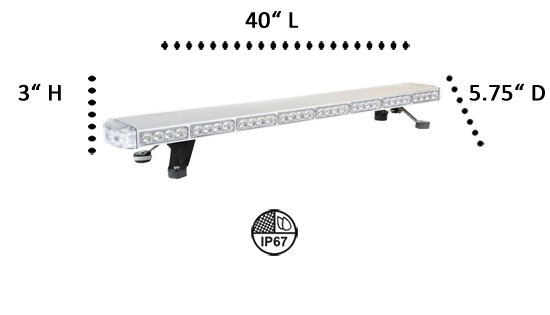 This high-performance light system has 70 LEDs that are made to last 100,000 hours, so if you’re cautioning motorists or directing traffic, the 40” Mirage light bar is an essential tool to do the job right!